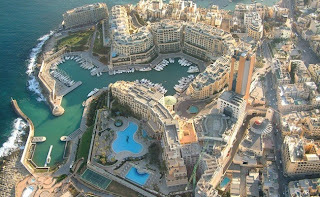 As seen on New York News on July 12th: "New York News: According to IMF, Malta has shown remarkable resilience in the face of a major crisis in Europe. Since the beginning of the crisis, the average growth of the Maltese economy has been one of the best in the euro area and the unemployment rate remains one of the lowest. This resilience was underpinned by robust service sector export growth and a sound banking sector. As a result, the current account balance has improved gradually in recent years, turning into surplus in 2012. However, economic growth slowed in 2012 and remains below potential, reflecting a weak external environment and subdued domestic demand. Although activity is expected to pick up moderately going forward, uncertainties abound. A protracted period of slower growth in Europe or re-emergence of euro area financial stress would negatively affect the Maltese economy. The performance of Maltese banks has been satisfactory, despite turbulence in the euro area. All banks report adequate capitalization, liquidity, and profitability and are well positioned to transition to the...read on."